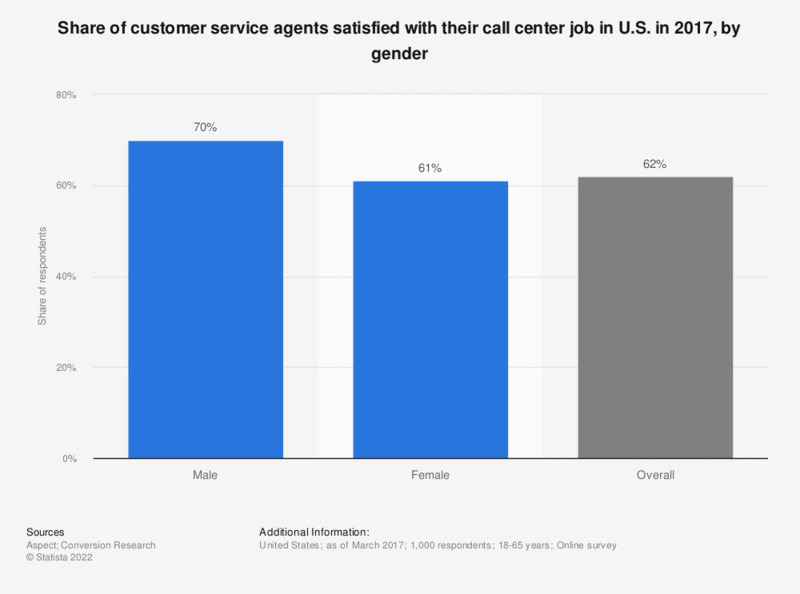 This statistic shows the customer service agents satisfaction with their job as of March 2017, by gender. During the survey, 61 percent of female respondents stated that they are satisfied with their current job as a customer service representative. How satisfied are you with your current employment situation overall?